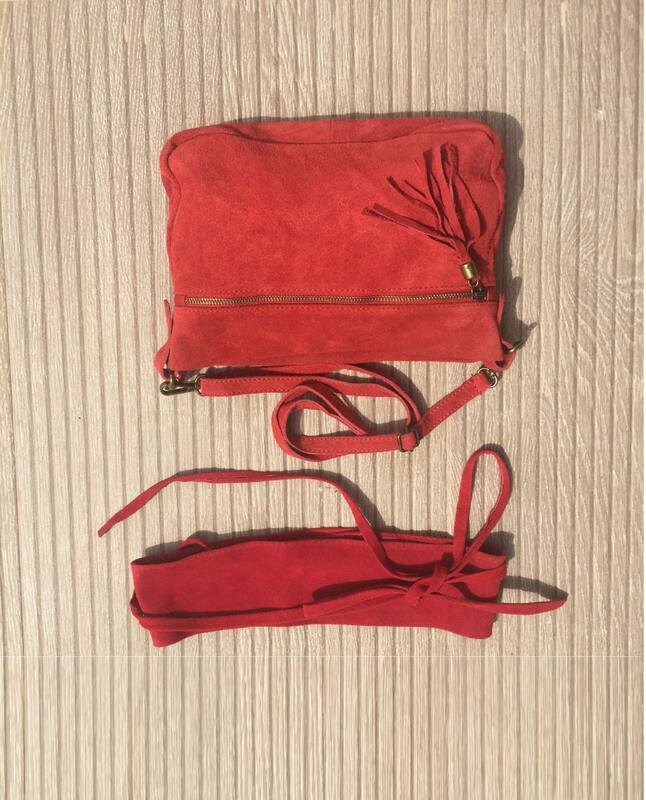 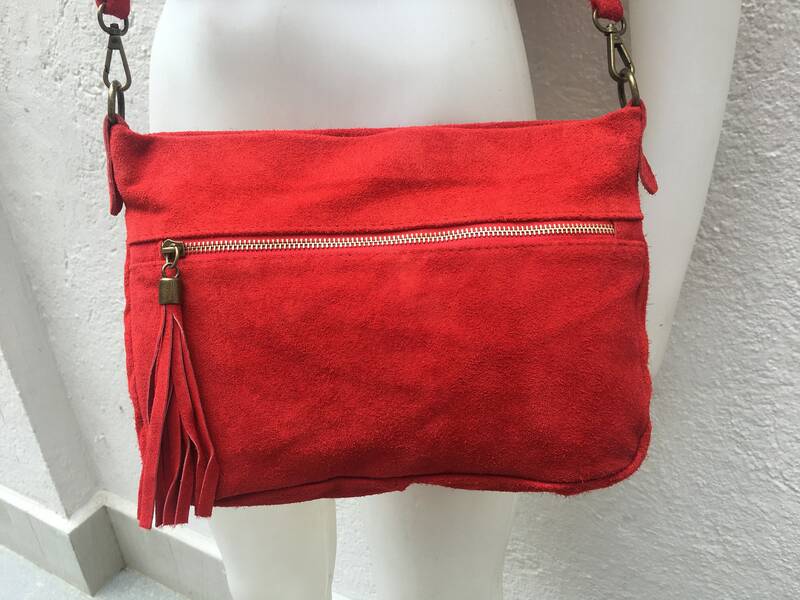 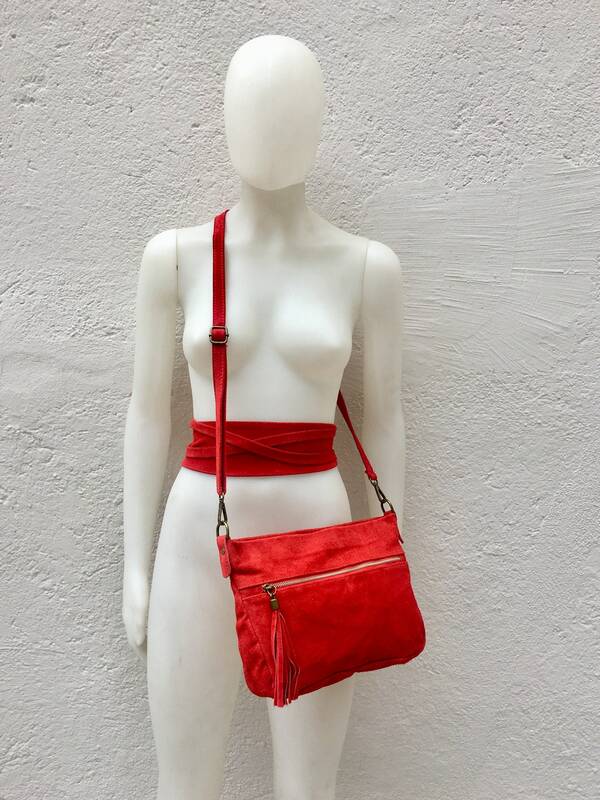 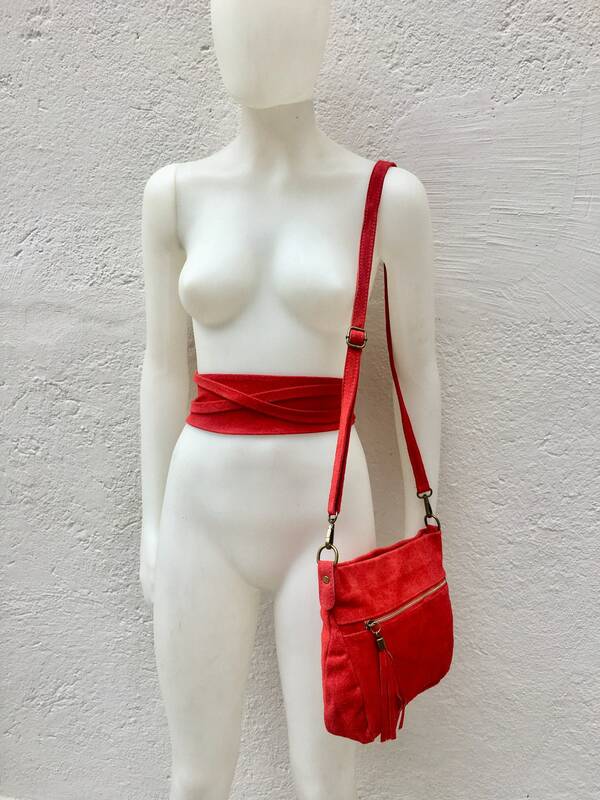 Bohemian summer leather bag in RED with matching genuine suede leather obi belt. 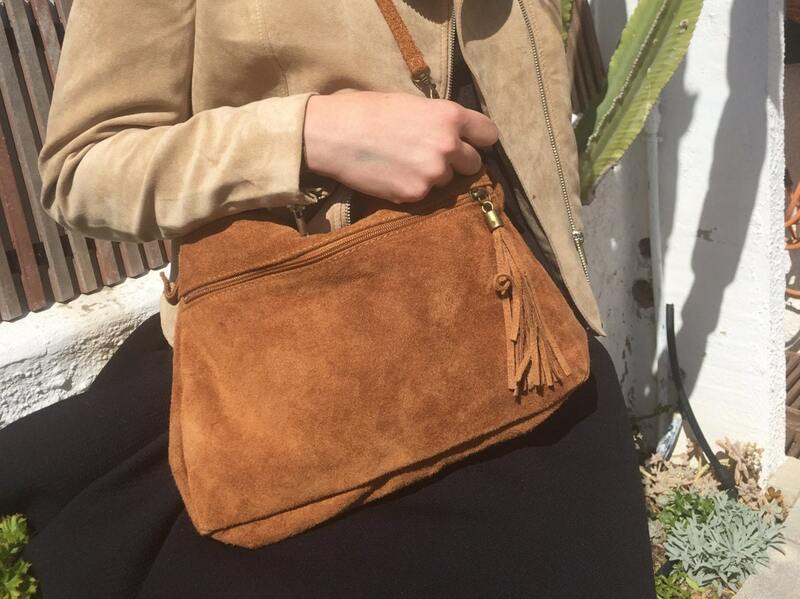 Both garments are made of soft natural leather. 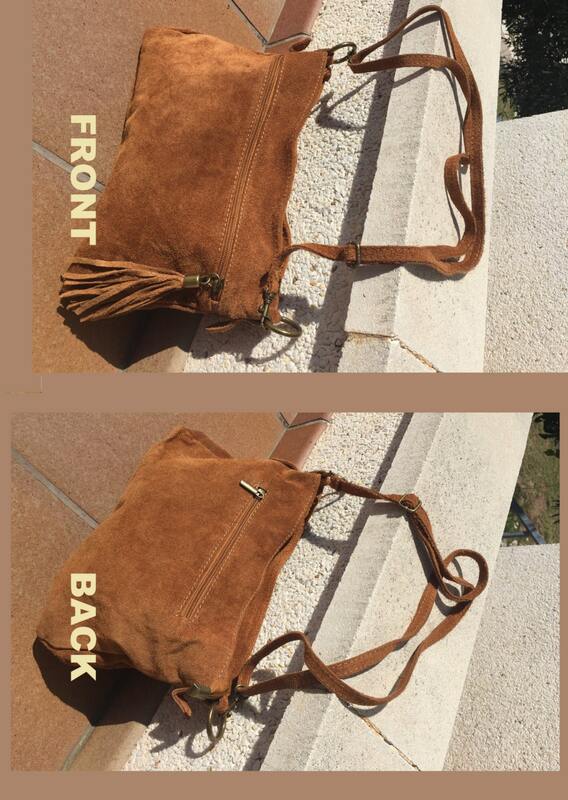 Both items can be purchased separately, if you order them together there is a reduction both in price and in shipping cost.